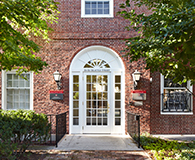 * Harvard University Housing (HUH) charges market rents based upon building location, individual apartment size, and amenities provided. ** Individual floor plans vary widely so be sure to view the actual floor plan for your unit prior to selection. Actual floor plans are available during designated view and select windows or when an apartment is placed on Currently Available. Our studio apartments include a kitchen area (refrigerator, stove, oven, sink) and a private bathroom. Note that units in 4-6 Mount Auburn Street (shared bathrooms) and Cronkhite Graduate Center (shared bathrooms and kitchens) are considered singles, rather than studios. Please view property pages for details.